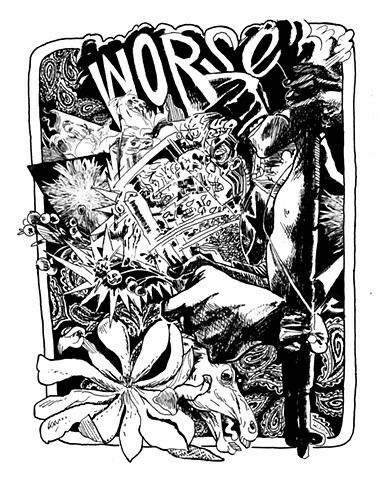 Artwork for the back print of concert pocket tee shirt. Drawings were collaged to create final composition. Finished piece including images from1940's garden magazine.